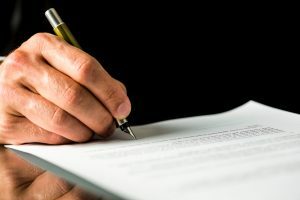 Research by Prudential has found that people’s expectations around being able to leave an inheritance have changed significantly in the last 5 years. 28% of people planning to retire this year think they’ll leave an inheritance, compared to 52% in 2001. 13% give more than £500 a month. A careful gift-giving strategy can help minimise your liability to IHT and ensure that you leave as much of your estate as possible to your loved ones. Gifts are not restricted to money – they can include possessions and a loss in value (for example if you sell something for less than its worth, the difference is considered a gift). Certain types of gift are exempt from IHT. You can give away up to £3,000 in gifts each tax year. Any remaining annual exemption can be carried over to the next tax year making the maximum annual exemption £6,000. children (including step-children and adopted children) under 18 or in full-time education. Gifts to political parties with either 2 MPs or 1 MP and at least 150,000 votes in a general election are also free from IHT. Gifts to charities, museums, community amateur sports clubs and universities are not liable for IHT. Speak to us about IHT planning and gifts. We can advise on gifts of property and your circumstances.